Americans, we love our holidays! Holidays that fall during the spring and summer are especially important to us. Road trips get planned, pools and grills are prepped and fridges are stocked with meat and drinks for the festivities. Usually, they are a great reason for friends and family to gather and celebrate. 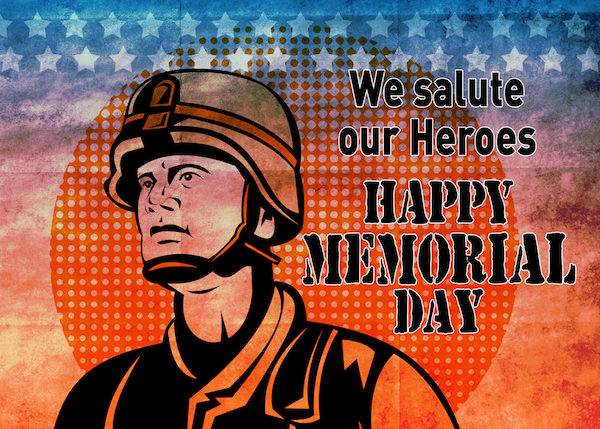 Memorial Day is the holiday that kicks off the celebrations. By Friday, you will find desks empty and plenty of parking in the employee lot. We won’t actually celebrate until Monday, but we do love to kick off the celebration as early as possible. That’s the American way! Now, just before you fire up the grill and ice the beer, we wanted to take a few minutes to reflect on what makes Memorial Day a holiday and why we take the time to observe the occasion. Memorial Day is a national holiday set aside on the last Monday in May, to honor those who died serving our country in war. Several towns claim to be the originators of Memorial Day, but in 1966, Congress declared Waterloo, NY to be the birthplace of the holiday. Originally, the holiday was set aside to honor those who died in the Civil War. It has now been expanded to honor those lost in any war while serving the United States. President Clinton further declared that on each Memorial Day, 3 pm will be the National Moment of Remembrance across the nation. Before you put the meat on the grill and open a cold beverage, take pause. Remind yourself and your friends and family of the conflicts which brave Americans died. Remember their service and remember their sacrifice.